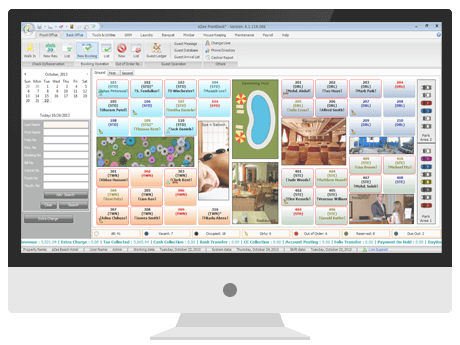 Carrying a user-friendly user interface, the hotel software brings together every single aspect of property management under a single interface and overcome the frontdesk task hassles. Despite being an extremely powerful and foolproof property management system that combines extraordinary features, it does not burn a hole in your pocket and carries a surprisingly non-premium price tag. Whether it is front-desk and reservation module, or the housekeeping one, the travel desk, or the back-office interface; every component of eZee FrontDesk hotel PMS has been built and designed keeping in mind the rigorous terms of property management. eZee hotel PMS has been widely recognized as a software that meets the requirements of even the most demanding of international properties.